Mark Rodriguez oversees organizational planning and development, employee relations, training, compensation, talent acquisition, workers compensation, and benefits administration for the company and its subsidiaries. A human resources professional with over 20 years of experience, he joined SouthWest Water as vice president of human resources in June 2007. His expertise includes strategic planning, talent management, organization and management development, and talent retention. Mr. Rodriguez’s career has included working in various human resources roles for entertainment, consumer products, manufacturing, and food and high-tech companies, managing both domestic and international employees. He previously served as Vice President of Human Resources for Ready Pac Foods. During his tenure, he developed and implemented new processes and programs, including organization and employee development programs, management and supervisory programs, safety and quality training, talent assessment, training curriculum, and automated recruitment. As vice president of human resources for the Disney Stores with the Walt Disney Company, he directed human resources operations for a business unit with retail stores in North America, Europe and Asia Pacific. His earlier positions included senior level roles in human resources, public affairs and labor relations. Mr. Rodriguez earned his Master of Science in Organization Management from University of La Verne, California, and his Bachelor of Science degree in Personnel Management from California State University, Dominguez Hills. 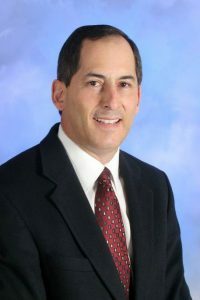 He holds a Certificate in Negotiations from Harvard Law School, a Certificate in Advanced Management Program from USC, and a Certificate in Human Resources from California State University, Long Beach. He also holds a PHR certification from the Society of Human Resources Management. He was a member of the U.S. Senate Task Force on Hispanic Affairs.